Katherine Crum, Ph.D., and Marjorie James, L.C.S.W. What is the plan for the workshop? The three-day, four-night workshop offers the established L2B training protocol in a beautiful rural retreat setting. It combines three training components: a review of the rationale and research informing the structure of L2B (Foundation Training); direct, hands-on practice in teaching the program (Intensive Training); and personal mindfulness practice for teachers. Each day includes personal mindfulness practice using a 4-part model based on MBSR. Day 1 and part of day 2 will present an overview of L2B, emphasizing the theory and research behind the lessons (Foundation). The remaining days will provide participants with the opportunity to “teach” all lessons from the curriculum in small groups and process this experience (Intensive). Summarize the research related to emotion regulation, stress, and psychological wellbeing as it applies to mindfulness-based programs for adolescents. Demonstrate skills for presenting and teaching mindfulness to adolescents in schools or clinical settings utilizing L2B. Experience personal mindfulness practice and its application in daily life. Create networks and share resources for teaching mindfulness effectively in schools and in clinical settings. This training is intended for teachers, administrators, clinicians and others working with adolescents who wish to learn an effective, well-researched mindfulness intervention for youth. Each day’s schedule leaves time for rest, meals, and walks on the Center’s many beautiful trails. The Trinity Retreat Center, located in West Cornwall, Connecticut, is about 90 miles north of New York City. 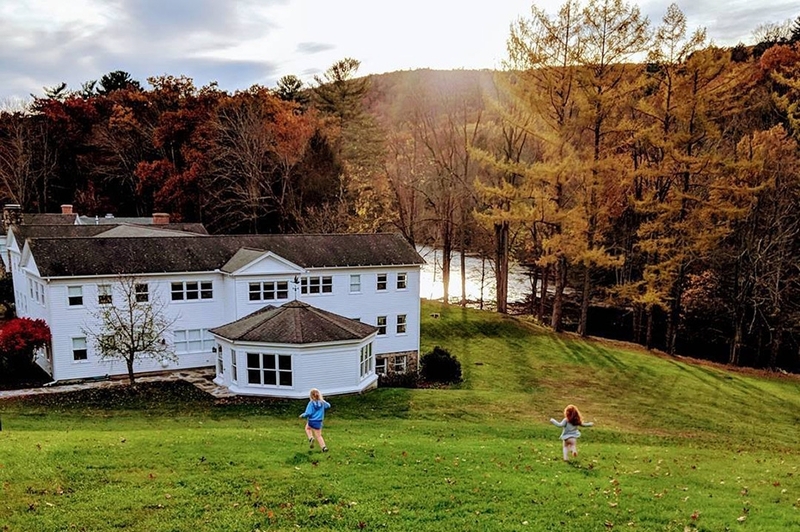 It overlooks the Housatonic River and is surrounded by the woodlands of the Litchfield Hills. Registration fees include food, lodging and all materials. There is ample parking and free shuttle transportation to the Trinity Center from the nearest Metro North Railroad station (Wassaic). Commuter trains run to and from New York’s Grand Central Station every two hours, approximately. Space is limited, so early registration is strongly advised. The entire facility is accessible. All rooms are air-conditioned. CEUs are available to Licensed Clinical Social Workers for an additional $25. If you need to cancel your enrollment in the workshop, please contact us as soon as possible. There is a cancellation fee of $250.00 if you cancel after July 1, 2018. There is no refund for cancellations received later.